Personally, I’ve been exploring a more natural beauty regime – I’ve been loving me some coconut oil – I’ve been using it straight up to wash my face and as a hair mask – and have even made my own hand soap. So I thought to myself, self, why not dig around in Pinterest and see what other natural beauty treatments I can find using things from the kitchen? I found some pretty awesome recipes – and honestly? We’re trying to take good care of our insides, why not make our outsides match? And if it’s all natural? All the better, I say! Homemade Bug Repellent made with vanilla! 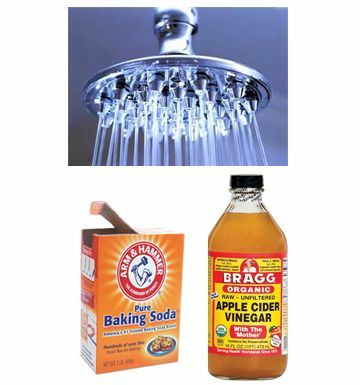 Baking soda shampoo & apple cider vinegar conditioner. DIY Brown Sugar Body Scrub.